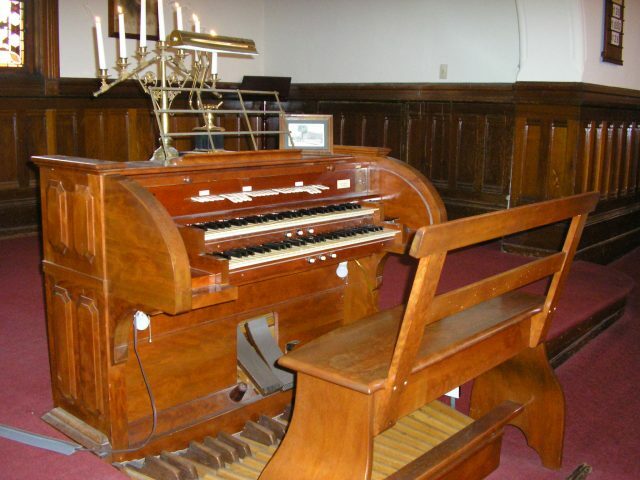 The Universalist Unitarian Church of Santa Paula was founded primarily by Easterners who had come to the area in the 1870’s and 1880’s to farm, explore for oil and develop a community. Santa Paula was laid out in 1875 by Nathan Blanchard, who planted the first large-scale citrus orchard. By the late 1880’s the town was booming with the establishment of the railroad in 1887. Among those early founders of the city were Wallace Hardison, George G. Sewell, Charles McKevett and Dr. David W. Mott. These four founders gave much of themselves to establish this church and its traditions despite their very busy lives. 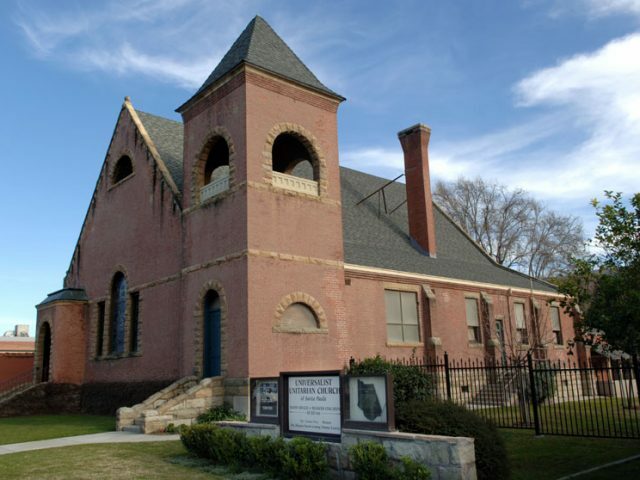 The Universalist Unitarian Church of Santa Paula at 740 East Main Street was among a handful of Universalist Churches founded on the Pacific Coast in 1889. Twenty-three members established the Universalist parish in Santa Paula in February of that year. 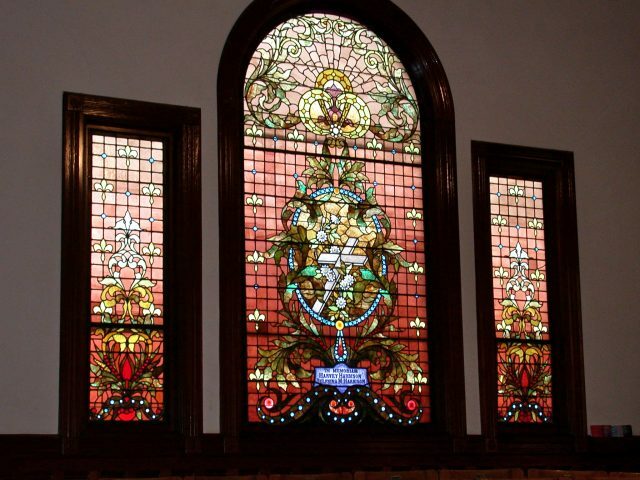 The congregation met on the second floor of the Cleveland Hall on Main Street, the site of the present Oddfellows Hall. On March 1, 1890 the parish was formally organized and officially incorporated in November 1891 with 65 members and with Wallace Hardison as it first president.